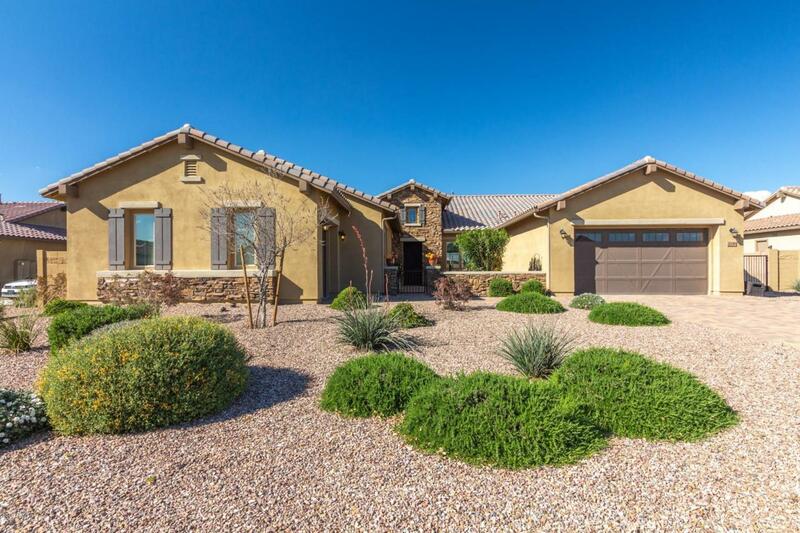 Absolutely breathtaking hidden gem w/ a host of upgrades! Beauty abounds as you enter through the front courtyard of this pristine home. The wide open faultless floorplan, stunning tiled floors & color palette create exquisite possibilities! Check out the Gourmet perfect kitchen comprised of huge granite counters, stainless steel appliances, wall ovens, a walk-in pantry, generously sized island plus bar, completed w/ rich cabinetry add to the finishing touches. Delight in the split master suite designed for your rest & relaxation. Double vanities, garden tub & Super shower w/seating area create a personal sanctuary along with huge closet!!. Enjoy an evening meal under the covered patio extended for entertaining as well as enjoying the majestic mountain views! Ready to go!